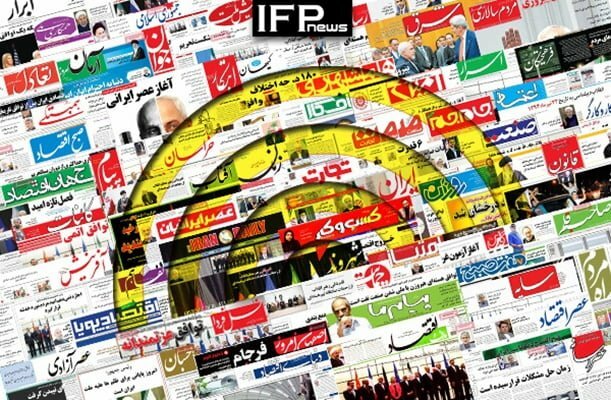 IFP has taken a look at the front pages of Iranian newspapers on Thursday, January 26, 2019, and picked headlines from 13 of them. IFP has simply translated the headlines and does not vouch for their accuracy. A hot topic for Iranian newspapers was a session of Iran’s Expediency Council, in which one of four bills required for Iran to get out of FATF’s black list is to be discussed. Opponents of the FATF accession believe it will endanger Iran’s national security interests, while proponents argue Tehran’s refusal to approve the bills would endanger the country’s foreign trade. Meanwhile, reports that the Special Purpose Vehicle, a European mechanism to protect Iran’s foreign trade after the US withdrawal from JCPOA, is likely to be launched Monday caught considerable attention among Iranian outlets. The attempted coup in Venezuela has grabbed many headlines, with the principlist-minded outlets criticising the US-backed plot and pro-reform papers highlighting demands for change in the country. Will CIA-Backed Military Coups in Latin America Return?